One should always think of and help oneself first… and oneself, by the way, is the whole of humanity and life. 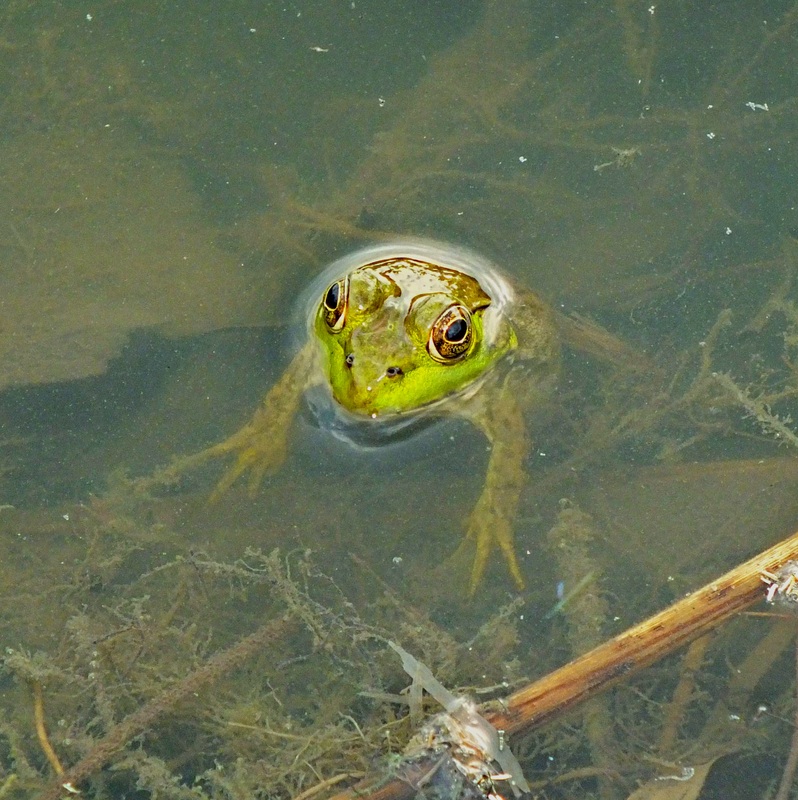 I love the way that bright green head sticks out of the murky water, was it saying hello? Nothing so exotic in the UK. We only appear to have one type of frog, the aptly named common frog, which quite often turns not to be a frog at all but a toad, the common toad. That’s unfortunate that there aren’t many species of frogs/toads in the UK. Frogs – worldwide – are in danger; they are dying out and going extinct in record numbers due to pollution, acid rain, and other environmental factors. By the way, toads – I feel – are just as exotic as frogs. They are beautiful in their own way… and are very interesting and fascinating!